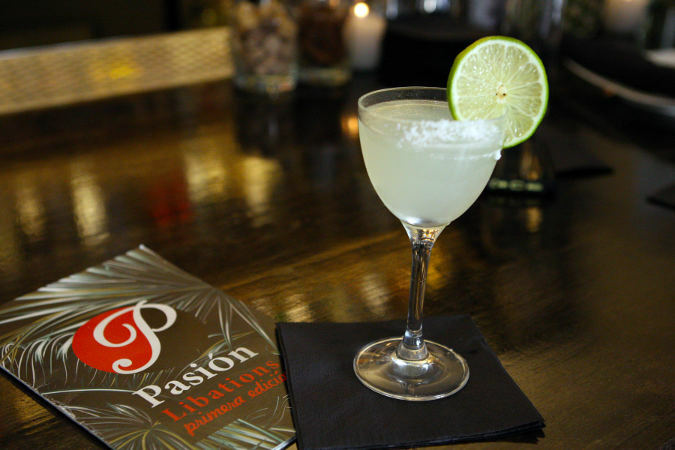 Pasion, technically Pasión, opened up just last month in the building that was notoriously Cozumel. Completely gutted (thanks to Black Swan) and newly decorated thanks to new owner Yeslin Andreina Greason (she tells me she prefers to go by Andreina). Andreina is the wife of Buffalo Restauranteur Sergio Mucino, owner of Don Tequila on Allen, Agave on Elmwood, La Divina in Kenmore, and more. 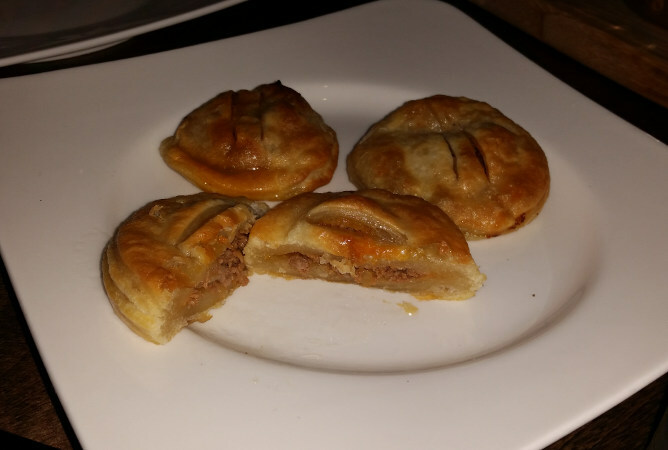 The cuisine is Latin American, Cuban, and Caribbean. 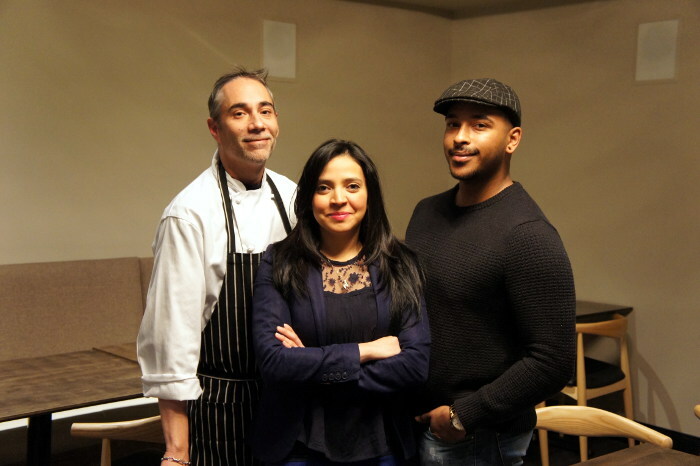 Andreina hails from Venezula, Chef Manuel Cruz from Miami, with a heritage of Cuban and Puerto Rican. Do not confuse Latin Cuisine with Mexican. While they have a few things in common it is really apples and oranges. Yes! 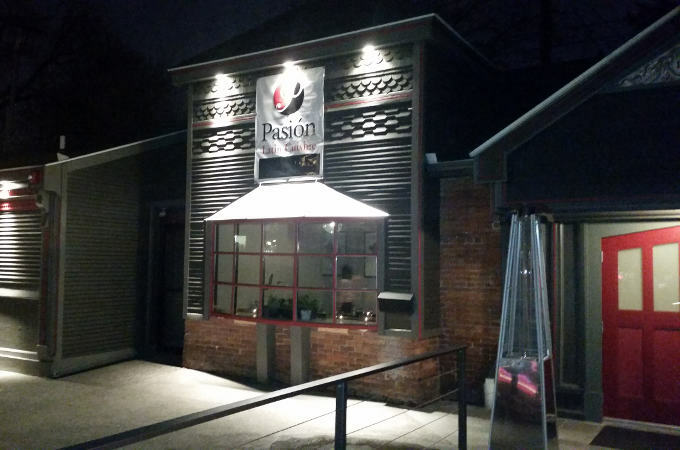 Pasión will open for lunch seven days a week beginning Monday, March 14 (at 11:00 A.M., Sunday at noon). They hope to have the patio set up soon. 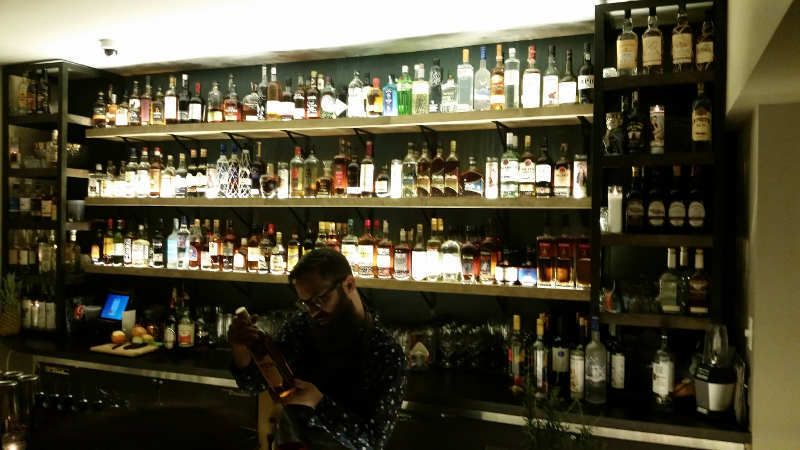 It’s open to enjoy a beverage, but no dining until they get okayed by the city – #yikes). 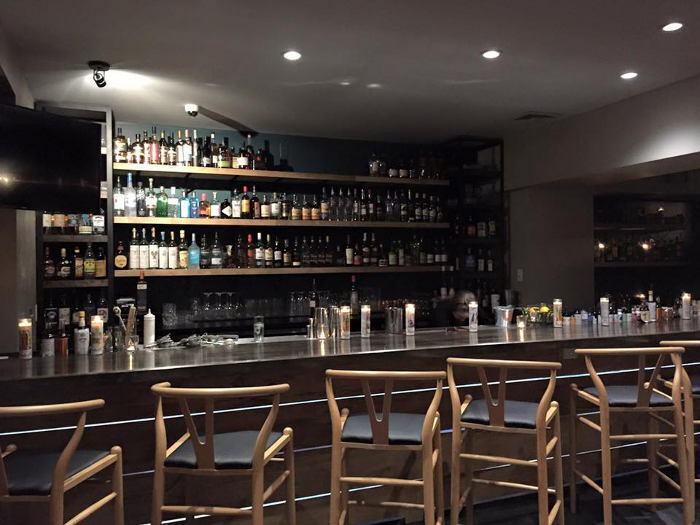 Once accomplished they hope to have full seating and an outside bar. Pasión is buzzin’ with energy even when it’s half full, which I suspect won’t be the case very often. The beat of Latin music flows through the crowd as smiling servers deliver the goods. The food is simple, authentic, and delish. You can check off the great value box too. Do not expect Americanized, homogenized dishes. Dishes with plenty of luscious fat, onion, garlic, citrus, seasonings, and flavor – BRING IT! Do expect to walk out with a big smile on your face, and money in your pocket. I can’t wait ’til the patio opens. If I could dump this job I’d be there twice a week. As you might guess from our hosts backgrounds and family influence there is a lot going on here, and you (the consumer) have plenty to get excited about. Soups, sandwiches, small plates and large – rice, beans, pork, seafood, avocado, and plenty of sabor (AKA flavor in Spanish). They are in the early stages so I wouldn’t be surprised to see menu items switched up plenty. All the more reason for me to get back. See the full menu here. 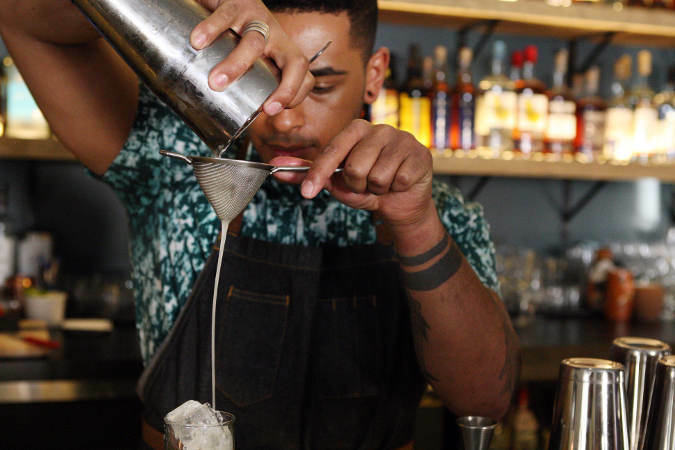 The cocktail list is big, beautiful, and chalk full of interesting options with a heavy focus on rum. 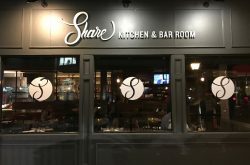 While neither the beer or the wine lists are particularly large, they had some good options and we loved what we had. See the full beverage menu here. We stopped in on a busy Saturday night. First step inside the door you can tell this place is going to be fun. People smiling, laughing, and moving to the beat is always a good sign. Fortunately we had just enough time to test out the craft cocktails while we waited for a table. 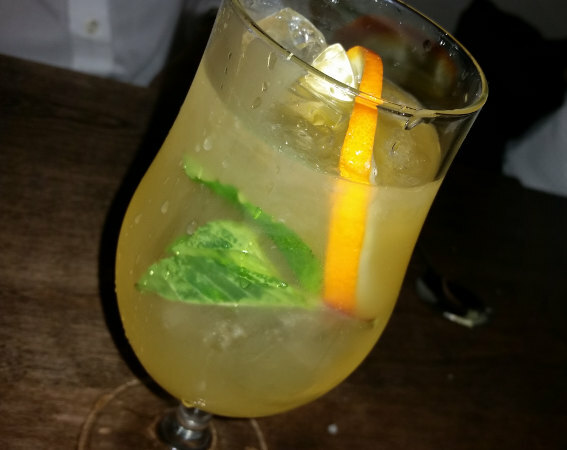 I went with a Banazerac – Rittenhouse (Rye Whiskey), Angostino 1919, Banane Du Bresel, Absinthe, Penchauds Bitters. Not unlike a Sazerac but a little smoother and a hint of sweet. 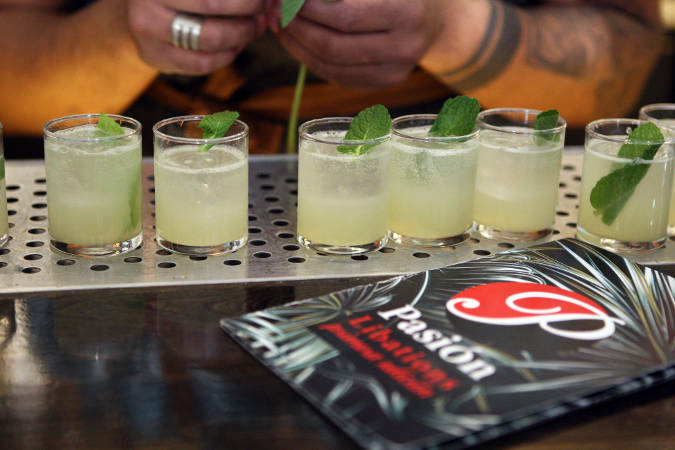 I THINK the others went with the Kingston Julip- Appleton Estate Reserved Rum, mint and sugar. $11 each. All good. One sod went with the Red Stripe. 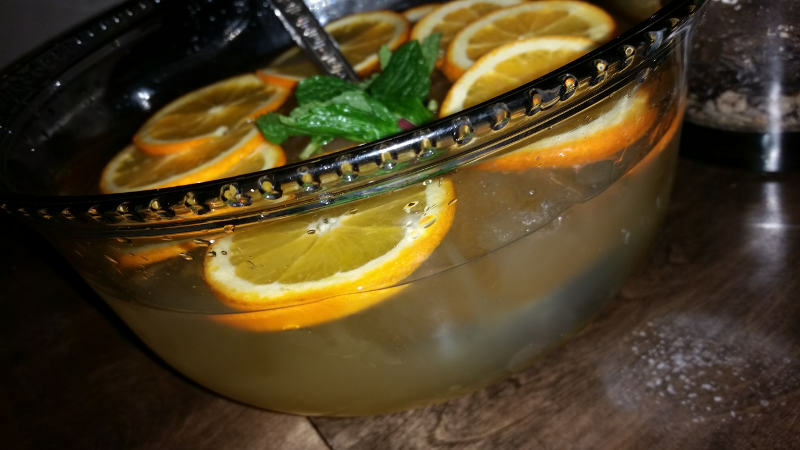 Later in the evening we moved on to a massive bowl (yes you read that right – bowl) of Bianco Sangria -$22.97 – white wine, dry orange Curacao, mango nectar, mint, seltzer. One Jack’s Abby Hoponius Union $6 (because the Dark & Handsome was gone) and a bottle of Bodegas Volver Tarima Hill $49. Needless to say the sangria is a lot of fun. 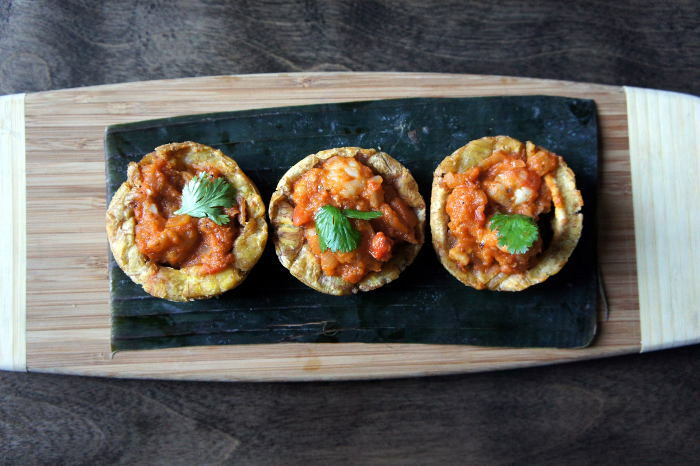 These are chips (obv) not tostones and I love ’em – way better than their potato counterpart in fact. Perfect with the garlic aoili. Tasty filling in a nice delicate shell the sweet glaze adds a really cool sweet element to the savory filling. Probably the best around these parts. This was probably the only thing we weren’t gaga over. 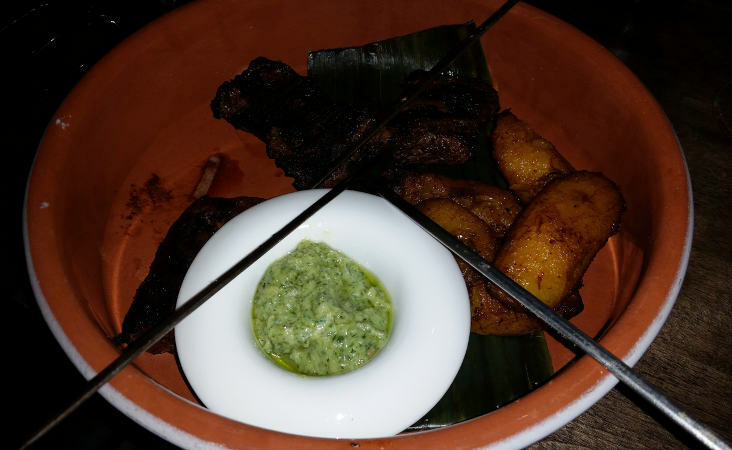 Loved the topping but the plantain itself was a little dry. Too think maybe? In truth my table mate gobbled it up so fast I didn’t get a chance to taste it. He said it was awesome. 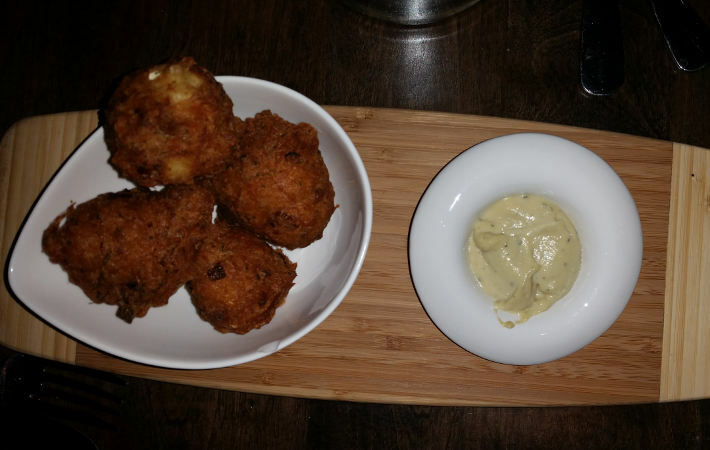 My wife has been telling me how great bacalitos are for years. A similar program, these are like deep fired fish balls. I hate to admit it but she was right. Try these! 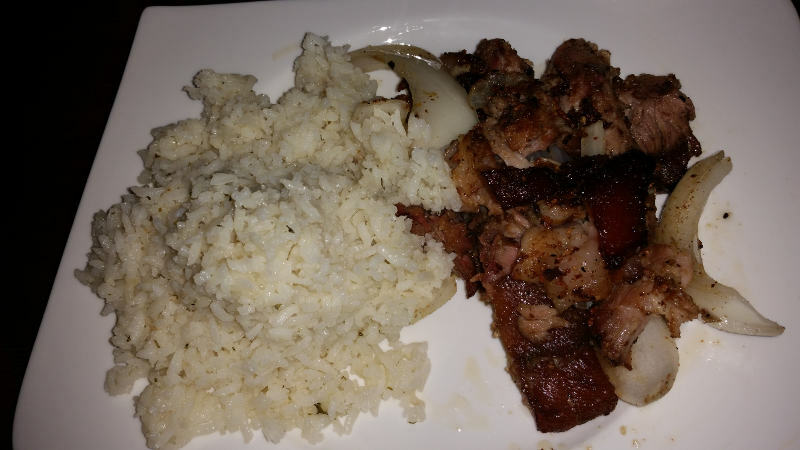 This pork is rich, fatty, and delicious. It’s particularly tasty with the sautéed onions. 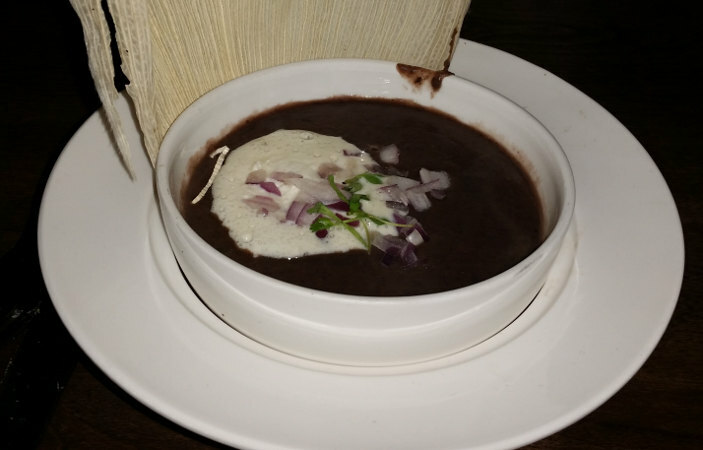 Don’t let a big helping of white rice confuse you – dump the bowl of black beans on top and you’ll be in heaven. Nicely flavored beef with an outstanding chimmichirri. The maduras are awesome, as they always are if made properly. If you haven’t tried them you’re missing the boat. This is much more akin to pulled pork than what we generally think of as “steak”. 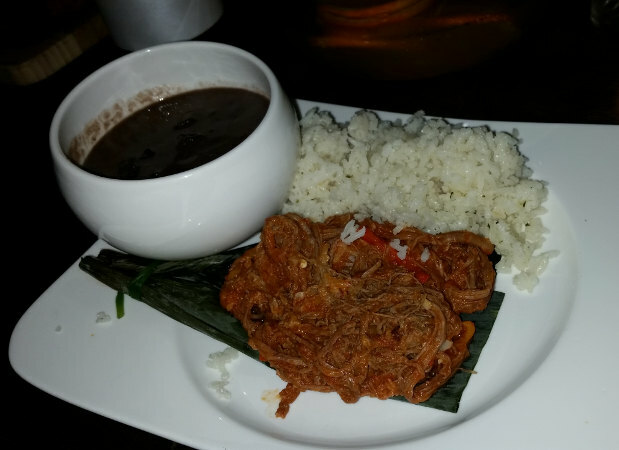 A very interesting dish with a rich sofrito (generally onion, pepper, garlic, tomato and seasoning – braised) flavors. 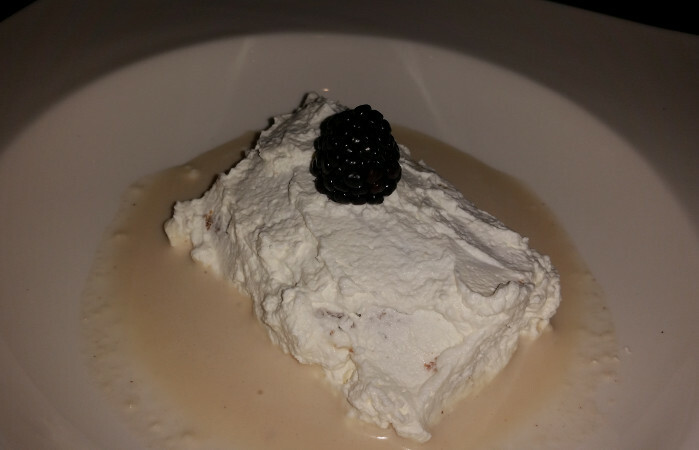 Cake made with three different types of milk i.e. whole milk, condensed milk, evaporated milk, or heavy cream. This was the perfect way to end an awesome Latin American meal. Gracias!